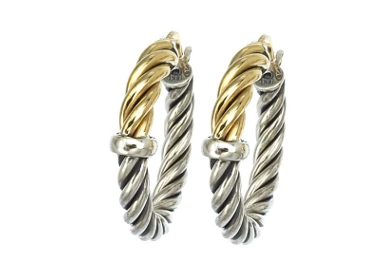 Hoop earrings that are a little different for everyday wear. Have questions about these earrings or want to see them in our store? Click here to learn more about Alisa.